No matter whether you have a Genie, Liftmaster or Clopay garage door, you can eventually find yourself in need of professional repairs. Even a garage door of the best quality will be prone to natural wear and tear as time progresses. Detecting a problem, or determining its cause can be quite complex, but we have some tips that will make it a little bit easier. If the door is making weird noises, you should not leave this problem unattended. It does not matter whether it makes squeaky sounds or if you hear a sharp loud noise. This type of issue will usually lie with the springs, the rollers or the tracks. Take a closer look at each part of to assess their condition. You will most likely find some evidence of damage or malformation. Remember that trying to repair things by yourself can be dangerous, and you should leave things up to our professional team. If you have to repeatedly press the same button on your remote to get your door to open, then something is most likely wrong with some part of the electrical circuitry. Either inside your remote or inside your garage door opener. If you find that your door refuses to close and just reverses for no clear reason, then your photo-eye sensors are probably misaligned. They are the components in charge of detecting an obstacle in the door's path, so sensor realignment is an important task that must be performed very carefully. These are delicate components after all. If your door cannot stay in place when you try to open it halfway up, then there may be something wrong with the springs. If you notice that one side of the door is hanging higher than the other, this can be a sign that the cable came off the drum on that side, or that one of your extension springs (if you have any of them) is about to break. In any case, either spring adjustment or cable replacement will be required, and once again, this is a type of procedure you definitely don't want to try and perform on your own. 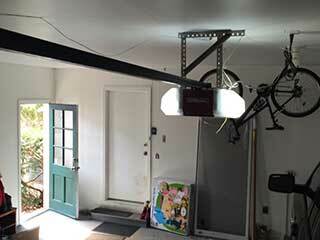 Really, the best way to avoid a lot of potential accidents is to opt for regular garage door maintenance. This can save you quite a lot of money that you would otherwise spend on more serious repairs or on a complete door replacement if the situation worsens. More importantly, you will be able to keep your family and property more safe and secure. Contact our team at Garage Door Repair Rocklin for more information.